Book as a member and get special privileges! Not a member yet? Sign Up Forgot your password? 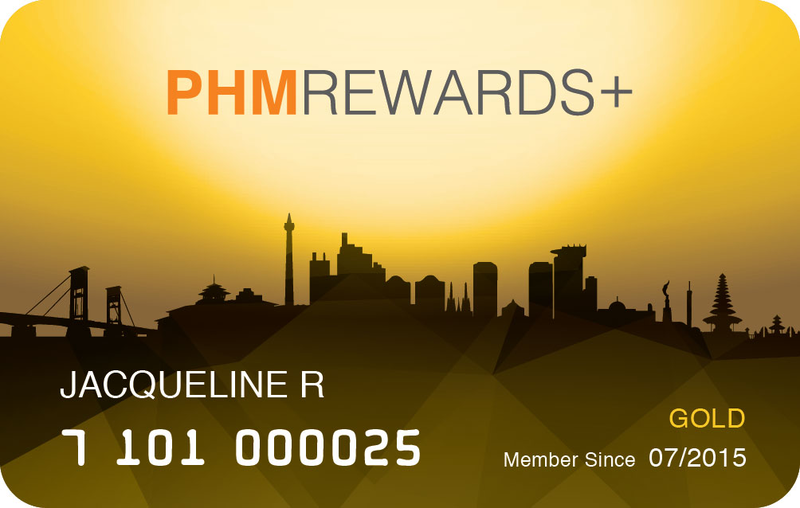 Enjoy more points, more benefits and more distinctions with PHM REWARDS+ - the global hotel reward program from PHM Hotels Our program offers exceptional hotel experiences, enhanced services and the ability to earn and redeem rewards remarkably fast at PHM Hotels. Free selection of a dessert for every purchase of Rp 150,000 within all PHM's Hotel Outlets. *Qualifying points are calculated based on IDR 5,000 per 1 point. 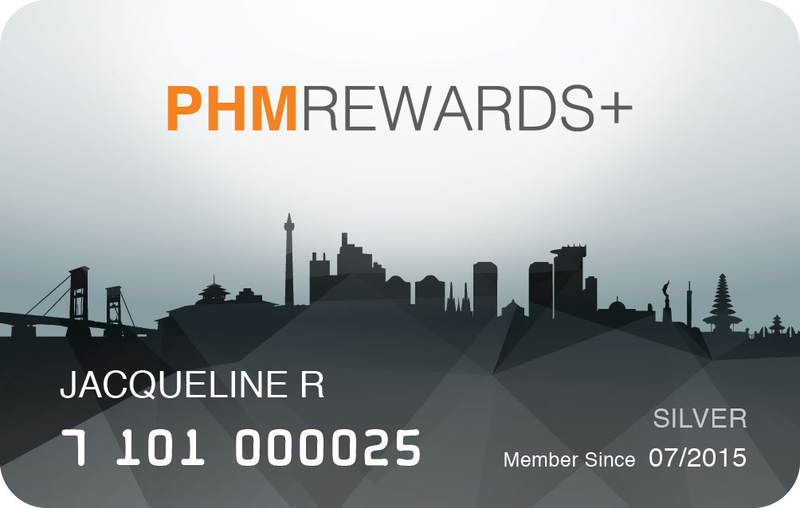 **Member must login with their membership account through phm-hotels.com to get the member discount.